Corpse Party is a ruthless horror game, dripping with heart-wrenching atmosphere, and a cruel demonstration of the raw power sound can have in creating fear and disgust. Its story is vicious and unflinching, forcing players to stare into a gruesome abyss of a haunted school and the unspeakable things that continue to happen there. It’s also the setting of a romantic comedy visual novel. One with murders. Corpse Party: Sweet Sachiko’s Hysteric Birthday Bash (Birthday Bash) takes this bloodstained universe and gives it a little loving twist, having players take part in a cute birthday bash for murderous series antagonist Sachiko. It sounds like the recipe for a gonzo ride and a story both hilarious and stomach-churning. For series fanatics, it might well be, but for anyone with less than a die-hard love of the series, the title may be sorely lacking. 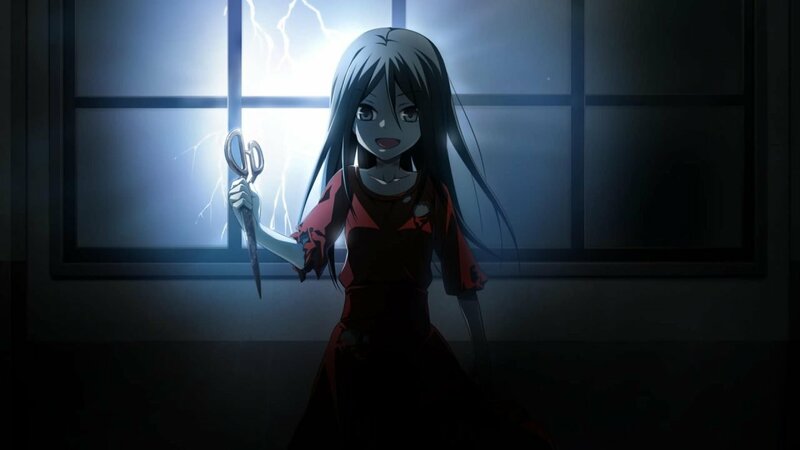 As it is Sachiko’s birthday, the young malevolent spirit has decided to invite all of the people she’s imprisoned in the haunted Heavenly Host Elementary to join her in celebrating her special day. Even the folks who’ve died (which is…most of them). No hard feelings over been burned alive or crushed or hanged, right? So, twenty four characters from across the series can join in on setting up plays, doing quiz shows, taking part in a harem romantic comedy, and more to please the temperamental spirit. If you love this series dearly, this may be a dream for you. Having beloved dead characters come back again, and seeing them restoke the cute relationships they’ve formed with the other lost teens, can be quite cute. And also a little morbid, given that you know what has actually happened to these people. Many of these characters have met sickening ends, and while bringing them back might seem touching at first, the fact that they’ll return to death afterwards gives the whole game a chilling feel. For those without a deep bond with these character, Birthday Bash can often be a confusing, tangled mess. Having twenty-four characters fighting for screen time often means it’s hard to know what’s going on and who’s involved. You need to pay careful attention if you’re going to remember everyone, and the game oddly chooses to rarely use face plates with text, meaning you’d better get good at remembering a lot of characters by name only. There’s also the problem that there are too many characters to really dwell upon. Scenes will cram several characters all in at once, creating these snarls where there are just too many people to fit into a scene with any appreciable depth. Many of these characters have been well fleshed out in the series’ multiple entries, but not in Birthday Bash. The game expects you to know these characters for yourself going in, so you’d either have to know the series very well, or have replayed many of them before you sink into this one. 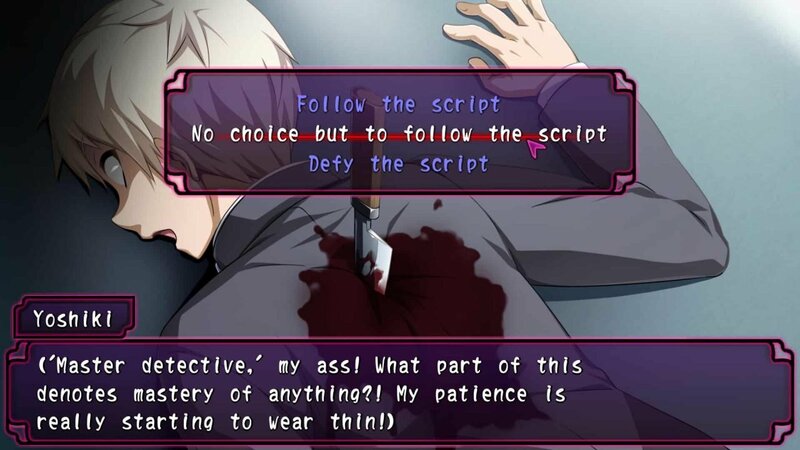 Otherwise, the scenes will feel far too light on character for much of its cast, which is a crime for a visual novel that’s almost entirely about the relationships between cast members. This character number also makes scenes drag on and on. In an early moment, some characters are offered a chance to take part in a dangerous race. It sounds tense, with Sachiko returning to her sadistic self in the offering, but the scene loses all emotional weight as character after character has to chime in about why they’re taking part in the race and who they intend to save. It goes on for far too long, but with so many characters in the game, they have to touch on them all. Unfortunately, this means that interesting narrative beats are often reduced to a dull crawl. Again, if you adore these characters you might find this endearing, but it still drains much of the weight from its scenes. With its absurd premise, you might assume Birthday Bash would be a constantly-ridiculous game. And taking part in a play with an evil spirit is pretty silly. That said, the funny moments are few and far between, again bogged down by having so many people to get through. It is enjoyable to see dead or dying characters take on tropes of the genre (a romantic comedy with a hammer-wielding zombie is just hilarious on its own), but it never feels like the game lets itself embrace its absurdities. It’s subdued despite its wild concept, which is perhaps its biggest disappointment. Birthday Bash also makes a few forays into unsettling territory, but not in its usual manner. There are some moments where things are more sexual creepy than horror creepy, with one scene where characters you’re supposed to like enjoy another character being molested by tentacles. The scene doesn’t go far, but it’s still something I personally found quite uncomfortable when I’m supposed to like these characters, find them relatable, or care about their relationships. Perhaps this is in-keeping with the game’s themes of exploring the evil that lurks within the hearts of its characters, but moments like these were still quite off-putting. Even in a game people die in cruel ways. The game features the series’ characteristic Dead Ends, where players can make bad decisions that will lead to unique Game Overs. These were often interesting, uniquely gruesome, or pleasantly strange, but lack the power of the series’ other bad endings. Not that a lighthearted take like Birthday Bash would carry that same gut punch that the more horror-oriented titles would, but these still felt lacking. Corpse Party: Sweet Sachiko’s Hysteric Birthday Bash is a game lost within itself, meandering without ever finding its narrative power. It isn’t silly enough, and it isn’t scary enough. It’s so mired in its characters and trying to make them matter that it’s just a collection of character moments with little depth. Die-hards may love these new stories with their beloved cast, but anyone else may find this story lacking and weak. 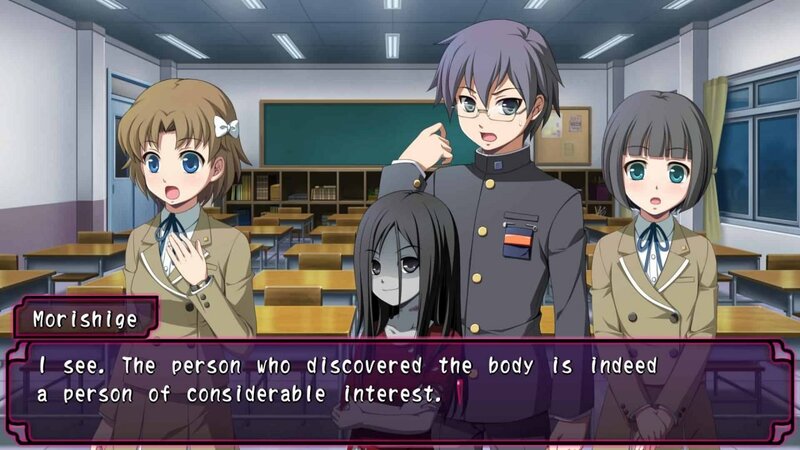 Die-hards may love these new stories with their beloved cast, but anyone else may find Corpse Party: Sweet Sachiko’s Hysteric Birthday Bash’s story lacking and weak.